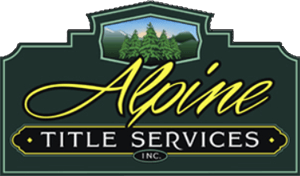 Alpine Title Services, Inc. is committed to providing professional courteous service. We are committed to providing each customer with timely, comprehensive information to help educate and assist them regarding the closing process, title insurance and related title services. To assist our customers in their transaction we use the latest technological services available. We are committed to providing quality services at a reasonable and competitive cost.